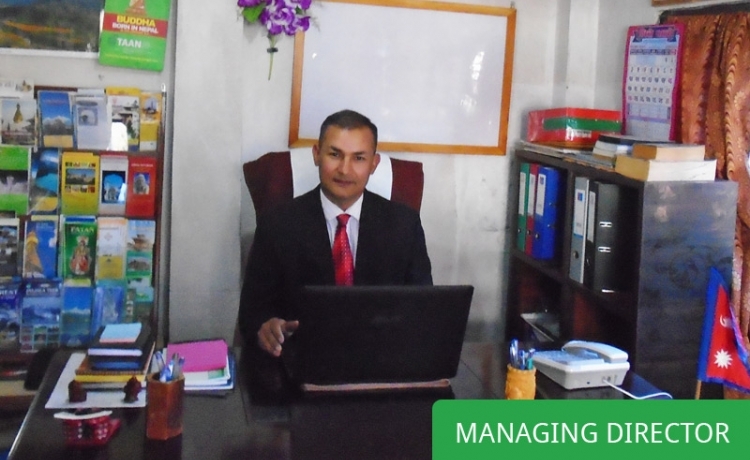 I am Shiva Prasad Dhakal, Managing Director of Himkala Adventure. I initially entered the tourism sector as a porter. Since that time, I developed my career as a trekking guide and finally as a tour guide after completion of my Bachelor’s degree. I have spent twenty years of my life in working in the tourism sector and have guided more than 1000 tourists of different nationalities. I have operated tourism-related services including trekking, touring, mountaineering, rafting, bungee jumping, hiking, and other adventurous activities. I heartily welcome you to Nepal. Nepal is very beautiful country, and the Nepalese are a warm and caring people. The Himalaya forms the backbone of Nepal and provides some of the best mountain scenery in the world. Despite her small size, Nepal has great physical and cultural diversity. Himkala Adventure prides itself in the originality of its trekking offerings and follows the true characteristics of trekking adventure. We combine both tried and true trekking styles and norms, but we are also aware of new trends in trekking and keep up with modern and contemporary improvements within this area. By doing so, we are an eco-friendly trekking company. As the Nepalese saying goes, “The big bird with the egg starts building up its nest”, and this is part of our viewpoint that only those who can imagine a beautiful future compose a beautiful present. Himkala prides itself on its professional performance and managerial skills. We can show you the spellbinding art of Nepal while touring the Kathmandu Valley or the natural vistas full of historical and spiritual beauty that abound in our country. Many people find our valleys are, essentially, enormous open museums where thousands of icons of deities can be found. These include gods and goddesses made from stone, metal, wood and terra-cotta in temples, shrines, monasteries, Buddhist chaityas (Buddhist shrines with stupas), stupas (mound-like structures often containing the remains of Buddhist monks and nuns), old palaces, private courtyards, streets, narrow lanes, fountains, and open fields. Himkala doesn’t just provide trekking and tour experiences. Our genuine intention is to share complete information regarding the wonder that is in Nepal through our guidance and knowledge in relation to our many heritages, seldom used routes and locations, and all experiences in the Himalayas. To provide all of this in a worry-free package, Himkala furnishes experienced manpower, knowledgeable and proficient trekking and tour guides along with its quality services. 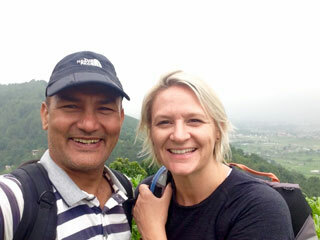 We insure that our clients are treated with kindness and respect, as is the Nepalese way. Himkala Adventure plans trekking and tours as per our guests’ interests, time-constraints, and budget. Our goal is to always be flexible to insure your convenience and happiness in order to have a more meaningful trip. Set off on your journey to Nepal, and Himkala will be there for you!